We ran out early Monday morning and spent most of our time dodging the storm systems on the way out. After we made it to the inshore lumps, we saw great marks and got setup on the anchor. Captain Bill May walked to the back of the boat with his new Fin Nor Offshore spinning reel/Fin Nor jigging stick combo and dropped down an Ava Jig. He was hooked up in no time. 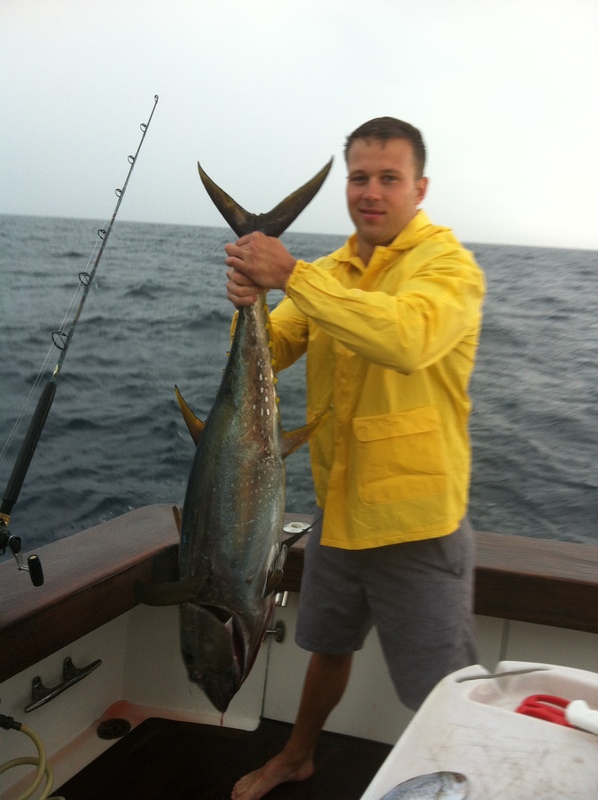 After about a 40 minute fight in a downpour and a team effort, we managed to put the 100 pound bluefin tuna in the boat. Always nice to start the day with the first fish successfully on the deck. We continued to chunk butterfish and sardines, and it turned out to be one of those days you dream of. 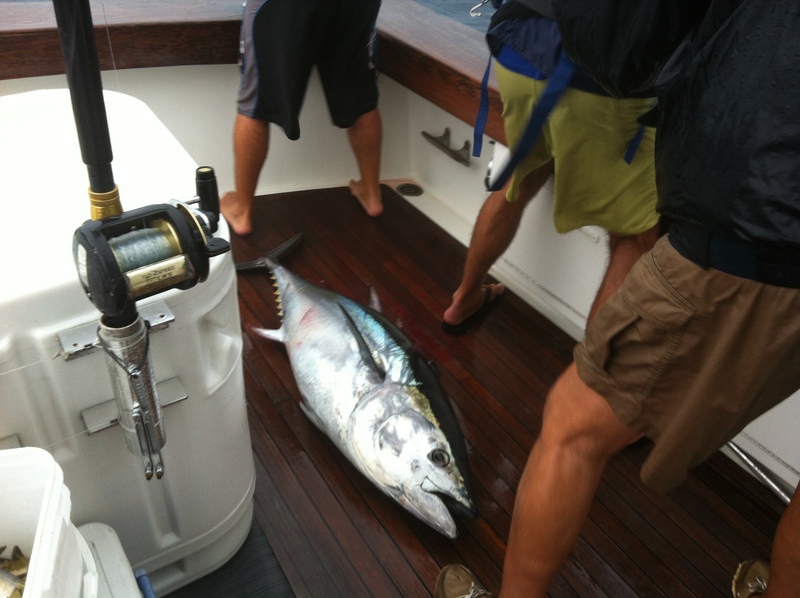 The tuna had us dancing all over the boat doing the tuna tango with the multiple hookups and the fish running the anglers all around the boat. We went on to get hooked up over 30 times, and at one point we had the fish schooled up thick behind the boat that we were handline feeding the fish and getting hooked up one after another. We had 4 fish on at one point. It was amazing. We wound up putting 3 yellowfin in the boat and releasing over 15 bluefin tuna ranging from 50-110 lbs. The yellowfin were 40 pound class fish. We didn’t get many bites on jigs, most of everything was on sardines and whole butterfish. What an amazing day of tuna fishing on the Boss Lady.